When we bought the Cavender house there was one, sad little tree in the corner of the backyard. It was February, so there weren’t any leaves on it….but I knew what it was. OOh Lord I knew. 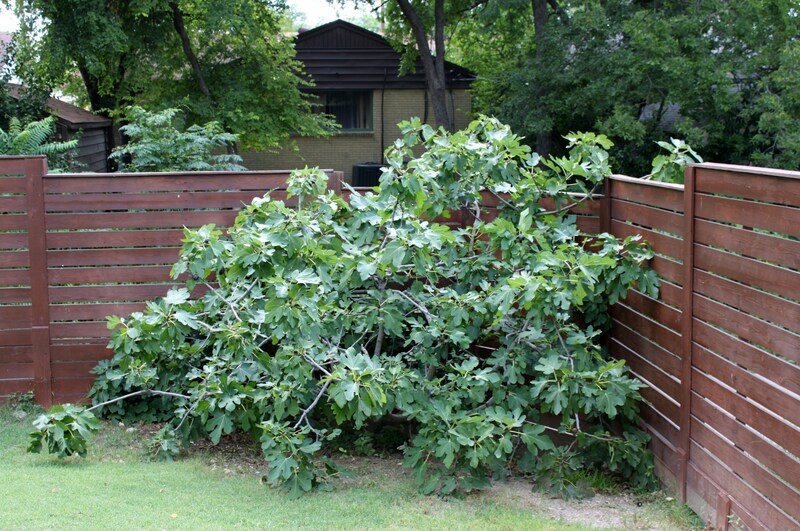 It was a fig tree….more of a large bush, really. Last year…..no figs at all. I have a feeling that the little bush/tree was saving up. Because this year…..
…and that was after the squirrel had his share. You can tell figs are ripe when the skins start to split and they fall of with a slight twist. 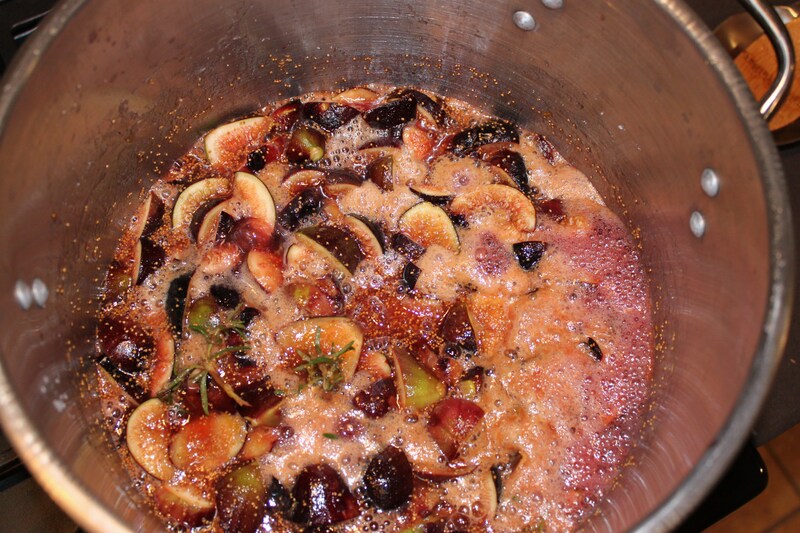 Make Drunken Fig Jam, of course. 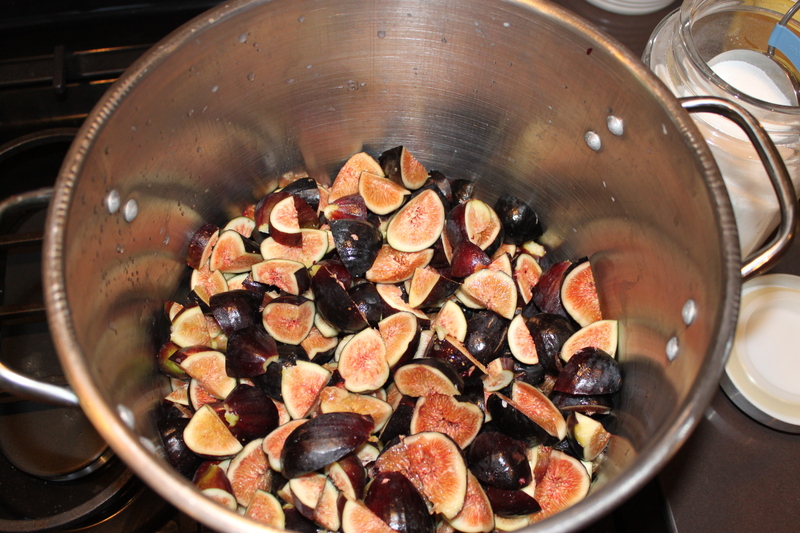 I started by dicing all my figs into quarters and filling a stock pot. Aren’t they just beautiful? 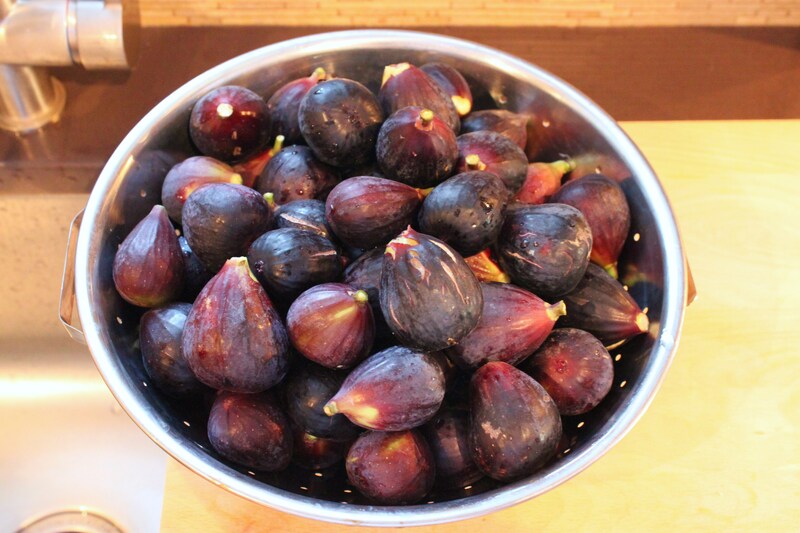 The recipe calls for 2 pounds of figs….so I’ll post accordingly. That’s it….Oooh, and about an hour. 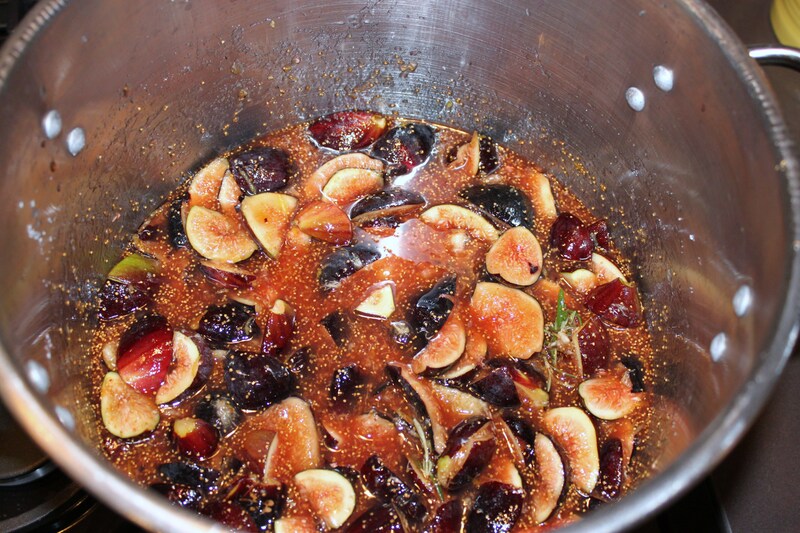 Sprinkle the sugar over the figs, mix well, and let set for 15 minutes till the sugar dissolves. While the sugar is dissolving, this is a good time to grate the lemon zest. 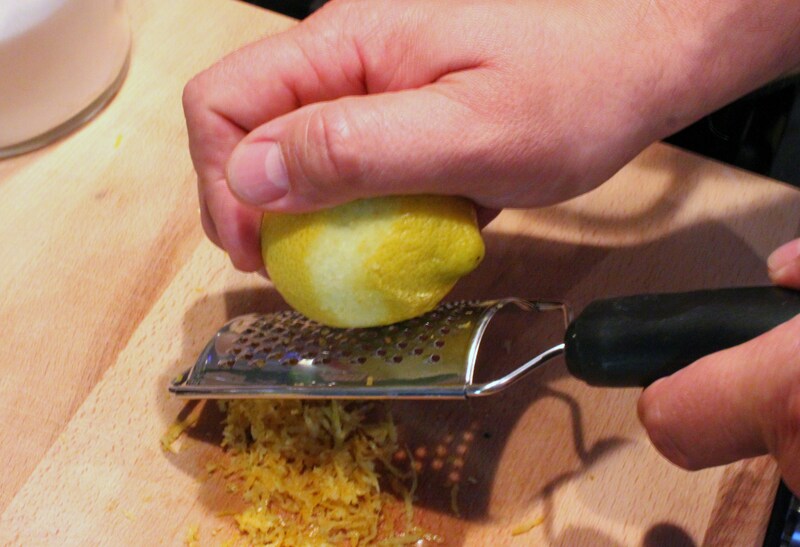 Rub the hopefully organic lemon (no one needs hormones or wax in this recipe) on a zester. It looks like a small cheese grater. Make sure to only grate the yellow part of the peel, the white is bitter. But the yellow is packed with lemony flavor. 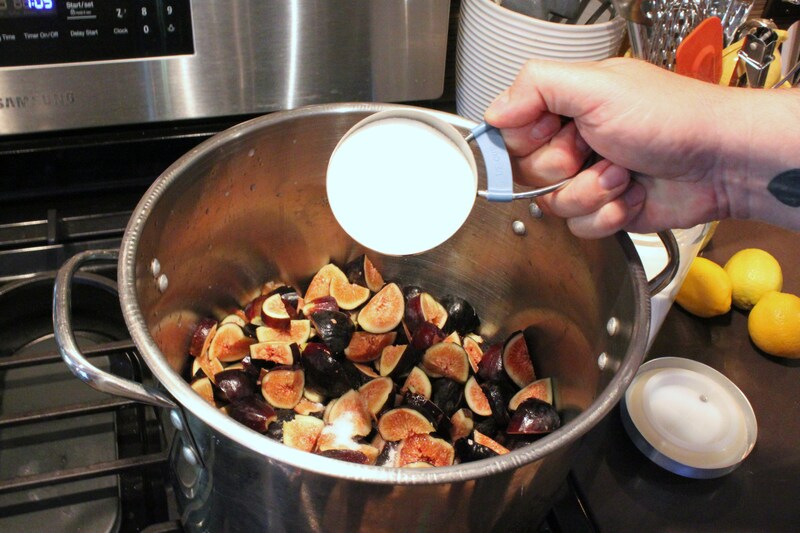 Add remaining ingredients to the fig/sugar mixture and bring to a boil. Once your mixture starts to boil, turn it down to medium heat and simmer for about a half hour more…..
Be sure to stir constantly to keep the jam from burning on the bottom. I also used a potato masher to break up any big pieces. But not too much, I wanted it to be a little chunky. 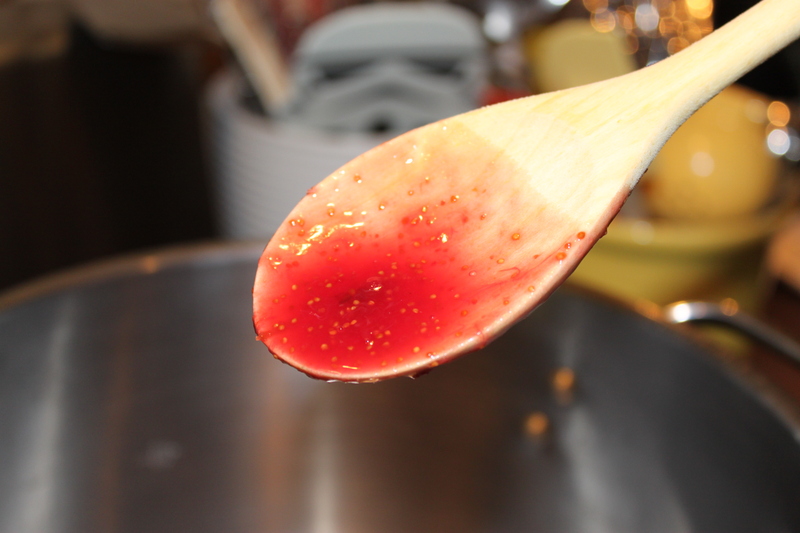 After it simmers a while and most of the liquids are dissolved, the thickened jam will coat a wooden spoon. Fish out whatever rosemary pieces are still whole and spoon your warm jam into sanitized (dishwasher will work, or you can boil them) canning jars. Tighten the lid as tight as you can, flip upside down, and let cool. The jam will keep in the refrigerator for about 3 months. Oh how I love figs and I will try this recipe, (if I can find some decent figs in this country). 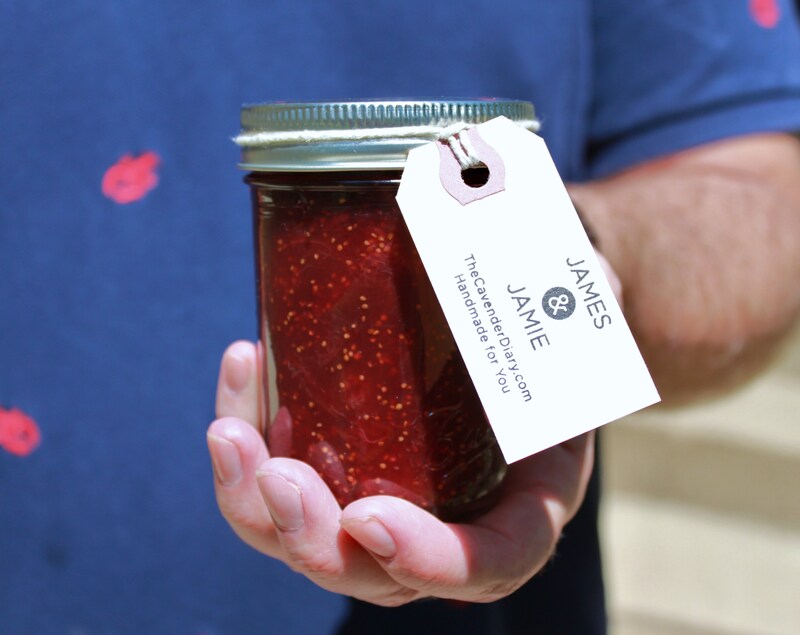 When I was a little girl growing up in the South, both sets of grandparents had fig trees and both grandmothers made fig jam every season. When I lived in New York, ONE FIG cost a dollar at the Korean fruit and veg stalls. 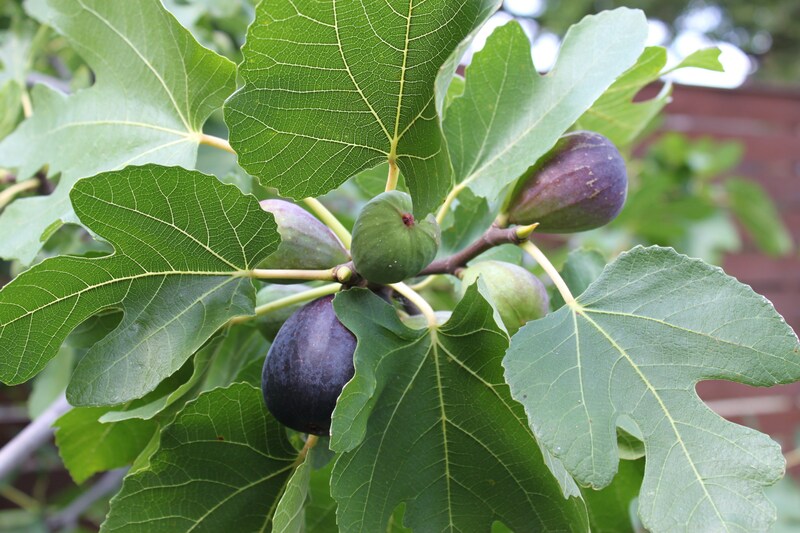 Figs for me are like Madeleines for Proust, evoking memories in all their deliciousness. Oh, how I wish I were on your list of drunken fig ham giftees. I love figs (both their taste and visual appeal). This sounds absolutely delicious! Thank you for sharing the recipe. Ugh, ‘drunken fig ham’? How did THAT happen. (Okay, maybe my stomach growled at your mention of pairing this with pork as well.) I swear I haven’t been eating any drunken ham, nor am I one myself. I meant drunken fig, of course. So sorry about that. I love figs! Found some at our local Safeway supermarket last week and I ate all of them in that $5.99 box–over several days, not all at once! It’s the lemon zest that makes fig jam so wonderful. My mom always put whole cloves in hers, too. I usually doctor up the ones I buy to suit my taste. Try it with thick roasted bacon and white cheddar grilled sandwich. The best! Awesome recipe! Makes me wish I had a fig tree in my backyard. We lucked into it, was here when we moved in. The fence builder said it would never live…and 3 years later…Harvest!!!! ‘corse it fed the neighborhood squirrels and birds all summer. Hi Daniel, I did not know that was possible. I’d be up for a trade. You’ll have to tell me how to do it. Winter hit this week, and our poor tree has lost all his leaves. Is this a good time to cut, or should it be when the weather is warmer?